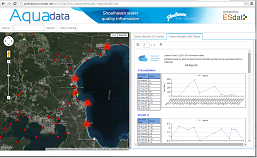 Shoalhaven Council Aquadata Public Portal. Aqua Data is a web-portal providing greatly enhanced community access to the results of water quality monitoring completed by Shoalhaven City Council (SCC). Development of an adaptive groundwater monitoring framework to inform salinity management across the Victorian Mallee Region. The use of ESdat Environmental Data management system by GHD to develop a groundwater monitoring framework used to create a groundwater monitoring network based on the current needs of the Mallee CMA management programs. 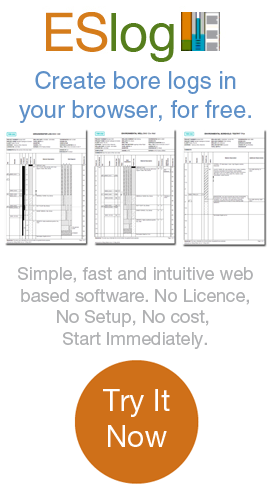 Analyzing and representing Downhole information on a daily basis using ESdat and Encom Discover. GHD used ESdat to optimize data collection and analysis and minimize data handling when working with downhole data information. 3D data output was provided by Encom Discover. Managing Site Data and the Maintenance of Conceptual Model and Time Series Outputs at a Complex Site Over an Extended Period. ERM used ESdat to manage and report on large datasets generated from an investigation of groundwater contamination on an industrial facility in Adelaide. ESdat was used in managing site data and the maintenance of conceptual model and time series outputs at a complex site over an extended period.